If you're serious about your photography then, at some stage, you're going to want to upgrade to a DSLR camera. But so many different DSLRs are on the market that it can seem like a daunting task to the uninitiated to choose the best DSLR camera. Fear not! My DSLR buying guide will point you in the right direction, and help you learn how to choose the best DSLR camera for your needs. Why Upgrade to a DSLR? Compact, point and shoot digital cameras are so small and easy to pop in a pocket that you might wonder: What's the point of upgrading to a DSLR? Two major reasons exist for an upgrade -- image quality and versatility. Not only can you use a variety of different lenses with your DSLR, but you can also take advantage of the huge number of accessories available (such as flashguns, battery grips, etc.). A DSLR is made from far higher quality components than a point and shoot camera, and it has a far greater number of controls. While a compact might be able to hold its own in bright daylight against a DSLR, the DSLR really comes into its own in challenging lighting situations. You can shoot in low light, shoot at sunrise and sunset, capture fast moving objects, and choose your depth of field -- the list of advantages is nearly endless. It can be somewhat daunting to decide what you want. First, your budget will make a big difference to what type of DSLR you buy. You'll need a bigger budget for a DSLR camera, as DSLRs start from around $500, while pro-quality cameras can cost anywhere from $3,500-$10,000! Then there are the practical considerations. If weight is an issue, then one of the cheaper DSLR cameras will be a good option, as their bodies tend to be made from lightweight plastic. However, if you need a rugged camera that will stand up to a few knocks, you'll need to be spending more to get a magnesium body. Another extremely important consideration is lenses. If you've come from a film background and already have a lot of one manufacturer's lenses, then it will make sense to buy a DSLR that matches that brand name. If you think you might want to build up your lens collection extensively, choose a manufacturer that has a wide range. Additionally, if you want to use specialized lenses (such as "Tilt and Shift" lenses for architecture), keep in mind that some DSLRs aren't compatible with them. If you're a complete beginner with DSLRs, you should look for a camera that won't baffle you with science! The best entry-level DSLRs are starting to introduce on-screen guides and intelligent auto modes to try to help beginners learn how to use their cameras. On high-end models, you can customize lots of features on your camera, automatically setting it up for a variety of situations. The customization that can be done allows for very fine tuning of the camera. However, these features are only really useful for those planning to make a living as a photographer. There are two main formats within the DSLR family: Full frame cameras and cropped frame cameras. You can read more about the differences in my article examining the full frame versus cropped frame formats. The main thing to understand, though, is that a full frame camera will have the same sensor size as a 35mm strip of film. A cropped frame camera's image sensor is a lot smaller. Most of the cheaper cameras will be cropped frame, but this isn't a problem for a lot of people. However, it does alter the focal length of lenses and, if you already have a bag full of lenses from your film days, it could cause problems. Cropped frame cameras mean that you have to multiply the focal length of the lens by either 1.5 or 1.6 (depending on the manufacturer). Obviously, this is great for telephoto lenses, as it extends your range. But it will also mean that wide-angle lenses will no longer be wide, just becoming standard lenses. Keep in mind that manufacturers have designed cropped frame-only wide-angle lenses that negate this problem, and they usually are very reasonably priced. The flip side is that the quality of the glass is nowhere near as good as the more expensive "film" camera lenses. Even the most basic DSLR will be faster than any point and shoot camera. 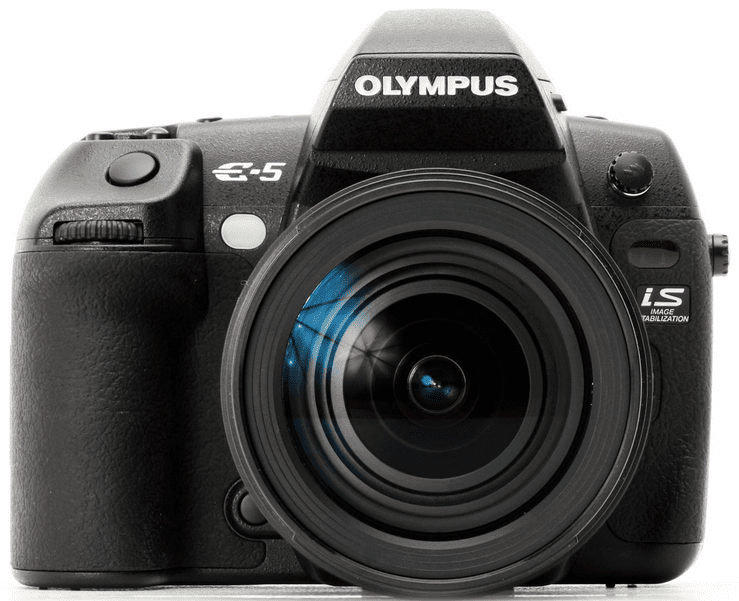 Entry-level DSLR cameras normally let users take a burst of shots at about 3 to 4 frames per second, but this will normally only be in JPEG mode. The burst mode speed will be limited in RAW mode. This shouldn't be a problem for most users, but, if you plan to shoot a lot of fast-moving action -- such as sports or wildlife -- you'll need to move up a level to the semi-pro level. More expensive cameras have a burst rate of around 5 to 6 fps, often in both RAW and JPEG mode. Pro-level DSLR cameras can often shoot at around 12 fps. HD movie mode is common on DSLRs, and the quality is surprisingly good. Even if you're not an enthusiastic moviemaker, you'll probably find this feature fun and easy to use. Some DSLRs even offer 4K movie resolution. Different models have different features, so it's worth doing a bit of research to see which will suit you. Hopefully, following these suggestions will help to make buying the best DSLR slightly less daunting. All the manufacturers who make DSLRs offer different plus and minus points, and it will depend on what features are most important to you. Just bear in mind that it is often the quality of the optics in the lens that make a picture great, so do your research on which lenses will suit the kind of photography that you are interested in. And, most importantly, enjoy your new toy! Want to Take Better Photos? It's All in the Lens! What Is the Focal Length Multiplier of Camera Lenses? What Are the Best Filters for DSLR Camera Lenses Really Used For?